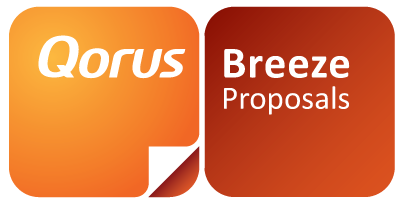 Qorus Breeze Proposals has been enhanced to offer support to Multi-factor authentication. Clients can now use their own multi-factor authentication systems or use the Microsoft Active Directory with Azure. This allows clients to offer enhanced security on login to their Breeze Proposal instance such as SMS OTPs, Email OTP’s, Telephone PIN authentication or any other out of band authentication system. The multi-factor authentication functionality manages the login procedure for the client by interfacing with the client’s security implementation from where the multi factor authentication will occur and then receives a secure token to login in to Qorus Breeze Proposal. The experience to the user is seamless, they will login using their client’s company’s credentials and chosen Multi-factor authentication (MFA) if they’re not already logged in and then will automatically log into Qorus Breeze Proposals.